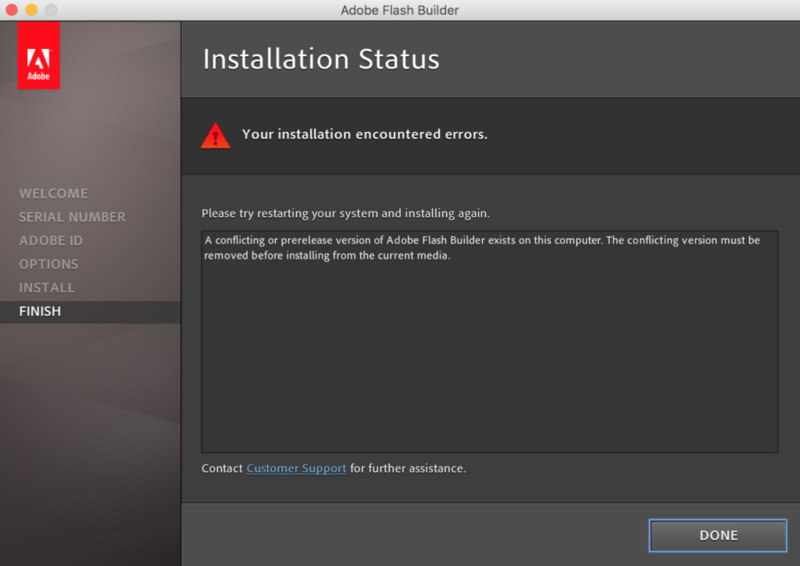 Solution: Adobe's Photoshop "Your Installation encountered errors"
Adobe products are majorly used by many tech giants. Often while installing Adobe Photoshop or Adobe Illustrator or any other product which requires Adobe Application Manager, an error is thrown saying “Your Installation Encountered Errors“. Now, to solve this issue I’m writing this article and also making a YouTube Video. This article will help you in every 360 degrees so that you may not face the same error again. In the end you will be able to install the adobe products requiring adobe application manager successfully. Obviously, I had the same error and I was able to resolve it with the procedure I’m showing below. This particular error can occur because of many reasons, may be you have previous record of some installation. Let’s suppose you are trying to install Adobe Photoshop and everytime you run the installation and after some time it gives error saying: Your Installation encountered errors. Now, this error may occur in shape of a dialog box too. At the time of running the setup, just because of the Adobe Application Manager. The solution which I am going to provide is for MAC but same solution can be also applied to the Windows. If you know what you do with the computer then you will be able to replicate the same solution to the windows. Write “~/Library” in the location and hit enter. From there go to “Application Support” then “Adobe”. This is the folder which is making issues for you. In this folder delete everything which is related to the product which you are trying to install. You may delete the whole folder too! If you are desperate enough to solve the problem. Again, in the “Finder” go to “Go” and from there “Go to Folder”. Write /Library there and hit enter. Again go to “Application Support” and enter into “Adobe” folder. Delete everything related to your current installation. Again if you are desperate enough delete the entire folder. Since you are installing a new instance of a new version. Make sure, that you don’t have any other instance of Adobe photoshop or the product which you are installing is present on the system. To make sure, just search and download “App Cleaner” on mac. Using it search for Adobe Photoshop or the Product which you are trying to delete. And delete through it. Make sure that nothing is left related to the Adobe product which you are installing in the “Applications” Folder. On the windows, just go to the control panel and uninstall the whole software. If you can’t uninstall, then like a Mac delete things manually from Program Files. After, cleaning everything up. Run the installation after restarting your MAC or PC and this time it will work. Since, the main folders over MAC which create problem are present in “Adobe” folder under the Application Support. Same folders are present in Windows \program files\common files\adobe\ this is the part of these files. The Caps files under the windows must be deleted to solve this particular error. More information can be obtained if you Google Up. Since you now know, what is the direction to solve this installation error of Adobe Products. The second solution is the update or re-install your Adobe Application Manager. Whether you are on windows or Mac, this installation can also solve your issue. Because sometimes, the Adobe Application Manager is causing the error, as most of the times it’s already present on your system because of some other adobe product. I’ve also made a helping video for mac users, who want to install adobe photoshop but aren’t capable to do so, because of the error which we are talking about. This particular guide will solve your issues and you’ll be able to start the software installation without any hassle.